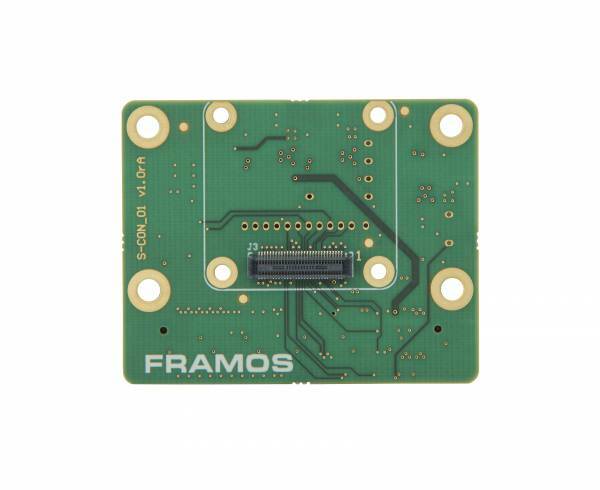 Product information "FRAMOS Sensor Module Adapter (FSA)"
The FRAMOS Sensor Adaptor (FSA) boards provide a translation layer between the sensor modules and the processor boards through a common connector. These boards translate the sensor data interface into a common MIPI CSI based interface that can easily be connected to and controlled by other devices and processors. Some of the features of these products include on board power rail generation/translation, oscillators and clock specific to each sensor module. They are designed to connect with FRAMOS and other third party sensor modules to allow them to be integrated into the FRAMOS EV Ecosystem. Related links to "FRAMOS Sensor Module Adapter (FSA)"
Product Details "FRAMOS Sensor Module Adapter (FSA)"